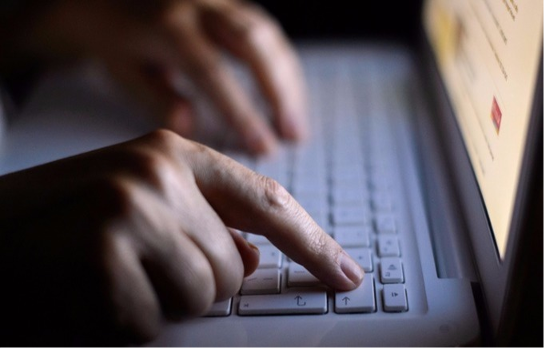 The number of online accounts to have been hacked by criminals has soared by almost half over the last year, according to figures published today. As advances are being made in securing online access to accounts, criminals are targeting customers directly. Fraud prevention service Cifas analysed data from 387 organisations including many major UK brands. The annual report found that the number of so-called facility takeovers - when a fraudster poses as a genuine customer to gain control of an account - rose to 22,525 in 2016, up from 15,497 in 2015 across the UK. The types of accounts taken over by criminals include bank, credit card, telephone, email and other services, Cifas warned. Victims often find money has been transferred out of their account or products have been ordered in their name. More than 50% of the facility takeovers recorded were carried out over the phone, typically to call centre staff. For the fraud to be successful over the telephone, criminals must have obtained enough of their victim's personal and security information to convince a call centre worker they are the account holder. The report said the increase of 45% in facility takeovers shows more fraudsters were collecting personal data and identifying targets through data breaches and social media and even contacting victims directly to manipulate them. Cifas chief executive Simon Dukes said: "Working together, organisations prevented £1 billion worth of fraud last year, but we know that as one method gets harder, fraudsters change tactic rather than stop. "We are now seeing that the advances made in securing online access to customer accounts have led to fraudsters targeting the human being at the end of the phone," he added. Mr Dukes added that educating customers is key in preventing those who are targeted to revealing personal data and is urging the next government "to do more to ensure that individuals know how to avoid these tricks". However Alex Neill the managing director of consumer watchdog Which? said that "educating consumers is not the only solution". "Banks and businesses should be doing more to identify potential scams, and ensure that their security systems are being improved to prevent fraud taking place," said Mr Neill.